Adding a patio cover to your home can let you enjoy your pool area, deck, or other outdoor space in comfortable shade with protection from the elements. For the best selection of patio covers and unsurpassed installation expertise, residents of Indianapolis, Muncie, Kokomo, or any other nearby community can turn to the professionals at L.J. 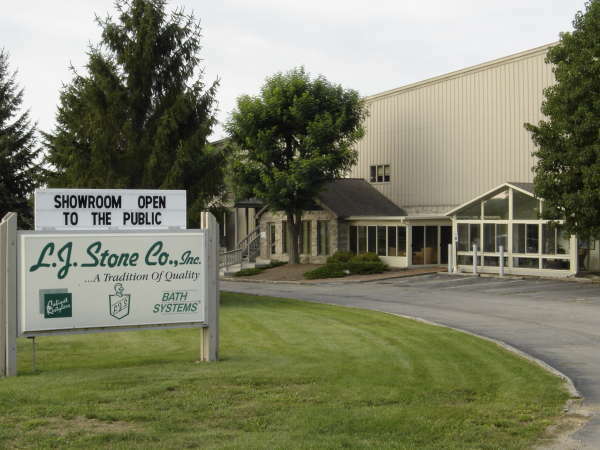 Stone Company, Inc. Since 1967, residents of Noblesville, Anderson, Marion, and beyond have depended on L.J. Stone for a variety of exceptional home improvement products. More importantly, our customers have come to rely on our prompt, courteous, and professional service. We’ll do more than just tack a patio cover onto your home; we’ll take the time to sit down with you, learn about your specific goals for your patio enclosure, and design a patio cover solution that meets your needs and suits your personal tastes. You’ll have a dedicated project coordinator who will walk you through every step of the process, from your initial in-home consultation to the final walk through in your new patio sun room. As highly trained and skilled home improvement professionals, we will do everything in our power to ensure your complete satisfaction. Along with our attractive patio cover options, L.J. 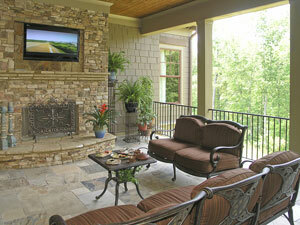 Stone provides many other innovative home improvement products and services. From installation of energy barrier insulation, entry doors, and home windows, to cabinet refinishing and bathroom remodeling services, we are sure to have everything you need to create the beautiful home environment you desire. For more information about our patio cover, sunroom, or pergola options, or any of our other products, contact L.J. Stone today. We are proud to serve homeowners in Richmond, Greenfield, Greenwood, New Castle, Carmel, Winchester, and all other communities throughout central Indiana.